When you’re new to a grade level, and you have more questions than answers, it can be hard to know where to begin. This year, I became a third grade teacher after ten years of teaching kindergarten. It was a move I asked for and, frankly, needed for a variety of reasons. There was (and is!) a lot for me to learn about how third graders think, problem solve, read and write. Robert John Meehan said, “Your life as a teacher begins the day you realize that you are always a learner.” I remember my first year of teaching in 2001 and how I felt lost and overwhelmed. I foolishly believed that I was supposed to already know everything about teaching and didn’t want to let on that I had many, many questions. As I began this new adventure in third grade, it felt like the first year of teaching again, with two important exceptions: 1) Now I know that it’s okay to ask for help and not have all the answers, and 2) I have guiding beliefs, based on research and experience, about how students develop as literate human beings. Deep in my soul, I believe students need choices and time to practice whatever they are learning. They need authentic reasons to read and write, real opportunities to discuss their ideas and send them out into the world. Making the transition to third grade, these beliefs grounded me. With my beliefs in mind, I read on Chris Lehman’s Educator Collaborative Community about teachers using Kidblogs with their students. At the time, I didn’t have my own blog, but I saw that it would be a chance for students to self-select topics and publish to a wider audience. I dived in and created a class profile on the user-friendly Kidblog site. In the Twitter #satchat on May 2nd, Simon Johnson tweeted, “Risk taking coupled with reflection can be powerful tools in a teacher’s toolkit.” As the year winds down, I am reflecting on our classroom blogging experience and what I’ve learned. Teaching Consideration: What is a blog? In September, I used the Kidblog teacher page to write my blog posts. I introduced students to blogging with my own welcome post. Continue the blog I began this winter and share relevant posts with the students. Be reflective on my own writing process. Utilize student mentor posts from my class. Share other student samples from classes in different schools. My students and I discussed and charted ideas for blog posts in September. Teach minilessons throughout the year on ways to get ideas for your blog. 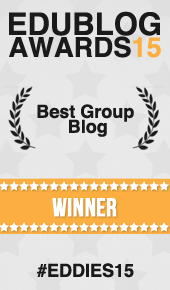 Teaching Consideration: How often should students blog? A few students blogged on their own after school, on the weekends, during school breaks, after field trips, and even while away from school on a vacation. 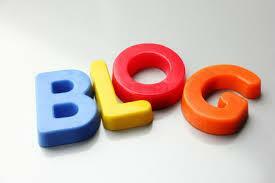 Emphasize that you need to blog regularly to grow as a writer. Use September to teach about blogs, launch our blogs, gather ideas and then create the expectation that students will post to their blog once a week, beginning in October. Some students wanted to post strings of letters or exclamation marks, without regard to the purpose of their post. Comments on blogs were exciting for the students, especially when our principal, another teacher, or a family member posted. Teach students the difference between writing in your notebook and blogging. Use the idea of “audience” to springboard conversations about conventions, speling, and writing purpose. Plan more explicit lessons on how to comment on other students’ blogs. Involve families and school staff in reading blogs and posting more comments. I took part in the Slice of Life Story Challenge in March, and it changed me. Like any passionate convert, I wanted my students to experience the joy of blogging each day. I issued a challenge to my class and bought prizes as rewards for participating. One student faithfully blogged each day of the spring break and completed the challenge weeks early. In this post, her writing shows she identifies herself as a blogger and sees writing in her future. Connect my class to the Classroom Slice of Life Challenge in March. Knowing other kids are participating and connecting with other classes will provide a wider audience and motivation to write. Seek out other classroom teachers who participate prior to the challenge to share ideas and strategies on how to make the challenge as successful and enriching as possible. Reflecting on this year, I’m celebrating how my students and I have evolved as writers. When I set out to have students become bloggers, I didn’t realize the power that would come from my own blogging. I’ve come to see that blogging helps you think through questions, allows you to make sense of your world and catch moments of insight and brilliance that might otherwise float away. It connects you to readers and makes you part of a community of writers. Blogging is purpose-driven, authentic writing. Going back to my core beliefs that I carried with me to third grade, blogging allows choice, practice, and authenticity for student writers. As teachers, we are always encouraging our students to take risks and try new things. This year of jumping in has given me a place to start. Reflecting has helped me see new possibilities for next year. If you’ve been standing on the shore, considering blogging, or maybe just dipped a teeny, tiny toe in, I invite you to take the risk, take a running leap, and dive in, too! Kathleen Sokolowski began her career in 6th grade and spent ten years as a kindergarten teacher. Currently a third grade teacher in Farmingdale, NY, Kathleen is also a proud member of the Long Island Writing Project. She loves learning alongside other passionate teachers and believes in the power of literacy to transform lives. A wife and mom of two, Kathleen spends more time watching “Peppa Pig” than she cares to admit. Kathleen, I have had Kid Blogging on my teacher bucket list. I, too, participated in the March Slice of Life challenge and it has been so powerful for me. I appreciate reading about your beginner experience because it gives me a pathway to begin. I haven’t read all the comments, but as I read your post – which I loved and thanks for sharing – a question came to mind. You mention a mini-lesson on writing in your notebook vs writing in your blog. What are the considerations you’ll bring to the conversation? I work with teachers to encourage the use of technology to reach a wider audience. I am curious (being that I am not a classroom teacher) how you plan to help your learners distinguish the best platform for their writing! Again, I learn so much from this blog! Thanks! Hi Karen! Thanks for reading and commenting. I’m so glad you found some value in my post! When thinking about notebook writing vs. blogging, the biggest consideration for me is audience. What I write in my notebook lives in my notebook and only I see it, but what I blog and post belongs to the world. I had a student this year who wrote a post that I wasn’t comfortable publishing and as teacher, I get to see all posts and comments and choose what gets published, which is important. Students need to know that blog posts will be read by many people who know them and don’t know them and people might form any opinion of them on what they write. Topic choice and how much of yourself you are revealing in a post is a big consideration for students who might not realize that they are sharing something inappropriate or that might upset their parents. I see the notebook as the place to explore ideas the blog post as the product of that exploration. I would be interested to see what other teachers think of this question, too. Thanks for asking it! I’ll keep thinking. What a fantastic – and authentic – way to encourage young learners to write (early and often). Even more important, when they have the good fortune to have a teacher like Kathleen, they will be motivated and inspired by her teaching, learning, and writing. Kudos to Kathleen and all of you who continually seek strategies and platforms to create literate lives. Thank you so much, Eve, for reading and commenting! Eve was the person who hired me to be a teacher and her belief in me, passion for literacy, and thoughtful kindness towards everyone has deeply impacted my life. Grateful for your continued friendship and support. From reading the comments on your blog, clearly you’ve stirred up a lot of interest in your venture into kidblogs this year in your third grade classroom. You are a model for tr;ying something new and being honest about what did and didn’t work for you. Your enthusiasm for what you do is contagious, your reflections are well thought out and your honesty is refreshing. Well done! Thank you Barbara, and thanks for being my editing partner during this process of preparing my guest post! I am so appreciative that you took the time to read through my many drafts and make such helpful suggestions for improving the clarity of my message. So appreciative of you and your friendship, in person and here at TWT. This is great, Kathleen. Kudos to you for jumping in and giving it a-go. Love your reflections, and I can’t wait to hear about what happens next year! Thank you Dana! It’s funny, because my initial draft for the piece was inspired my a memory I had of myself as a person who “jumps in.” Whenever I would get a Barbie doll as a present, I would immediately brush her hair, changer her clothes, and she would look totally different by the time I was done! Friends of mine would have their Barbies still in the exact same outfit, hairstyle and position. The Barbie story never made it into my piece, but I think it is a little bit my personality to take a leap and make a bit of a mess but do it with joy! Never saw the point of leaving things to sit on a shelf, unused, and translated to teaching, for me, I would rather try something and learn from it than stay with known strategies/approaches. Thanks again for the opportunity to be a guest here at TWT. So enjoyed reading your post. You have given me a few thoughts to ponder…I am especially thinking about regular blogging and where I need to be more explicit in my modeling and teaching this year. The way you have thought this through is helpful to me as a reader and you will be so happy for yourself as the new year gets underway! Hoping to connect our bloggers, we tweet @Frazier1st, look for us here to get connected! Hi Deb! Thank you for your kind words and I am so glad that the structure was helpful to you as a reader, thinking through your own plans for next year. I would love to also connect our bloggers. My class tweets @Learningin215 and we use Kidblog. Are you participating in The Global Read Aloud Project next year? Amy Krouse Rosenthal’s picture books are part of the GRA and that could lead to some connections between your first graders and my third graders. Let me know! Blogging is one area where I remember making a leap of faith and now it almost physically hurts to miss it! A huge difference from “what on earth will I write about?” (my thinking from 3 years ago) and my current running list of topics that has never been below 10 . . . well maybe, when the computer crashed and I lost it! So many things to consider when blogging . . .
conferencing . . . .
Just from my own personal growth – I know it’s critical! Hi Fran! I love the list you made- I will keep that in mind as I plan for next year’s introduction to blogging. One of the things that strike me about blogging is once it is posted, it is published, and I wonder how much workshopping a blog post could have/should have. Audience is a big one for students and I think it connects well with teaching them to be responsible digital citizens. Thanks for reading the post and taking the time to share your thoughts! I really appreciated it. I loved the way you spoke of the evolution of this writing experiment – when we take first steps with our kids, we allow ourselves to enter a special learning community, where the lessons learned are shared through a process of joint struggle. Great post, Kathleen. Thank you so much Tara! When I was a student, I can never recall a teacher sharing his/her writing and process but I think it would have made me see that writers are all of us, not just the published authors whose books we are handed. I hope my students were able to see that writing mattered to me and that their writing (and lives) mattered to me, too. So grateful to be in third grade again next year and have the opportunity to refine my teaching around blogs, but this has been an unforgettable year of learning and growth. I’ll never forget this year. Thanks for your comments! Your post makes me reflect on my students blogging adventures. I’ve come to see blogging as an effective alternative for students who struggle to write with paper and pen. It’s a way for students to reach out to others and understand at a gut level why it’s important to write. And, it’s a way for teachers to write alongside their students. Thanks so much for your comment! I was hoping my post would convey that sometimes it is good to just take that leap and try something, knowing that you will learn what needs work through the experience. Lisa’s post on Monday gave me some new ideas for ways to explicitly teach blogging strategies, including a catchy title, which I hadn’t even thought of! I agree so much with what you said about blogging as a means to help students understand why it’s important to write. I loved reading the unassigned blogs- when kids would share their lacrosse game, or a movie review, or scenes from their vacation. To me, this showed that the blogging was more about authentic writing than doing something the teacher asks for school. It was about knowing you have a story to tell and it’s worth telling and people will want to read it. Thanks again! I am so happy you have jumped into this pool! The way you show your process of reflection is revealing and brave and what we all should be doing with our summer days. Blogging has totally changed the way I structure my gifted class. My students are expected to blog 3 times a week and most weeks they did. Not all students jump in with two feet. Some only with a toe, but I am still a believer. Thank you Margaret! I appreciate you saying that it was brave to share my process and where I hope to improve next year. I love reading other teachers’ stories too about things that worked or didn’t and I feel like we are all better for being honest about the questions we struggle with as we try to help our students. I’d like to know more about how you handled the 3x a week expectation. I want to make a 1x a week expectation but I’m a little worried that it will become me policing students to blog instead of having them blog because they want to, which is so much of what I enjoyed this year. Can you share how you frame that expectation and make it work? What do you do for students who do not meet the expectation? Is home technology an issue at all? I use a simple rubric. I give computer time during class. We usually write each post together in workshop in our notebooks. The issue can be time to type the posts. And yes, home technology is an issue. Your students are fortunate to have a teacher who walks the walk and talks the talk. How wonderful that you jumped (head-first) into blogging too. I have a feeling your reflections and insights will lead to an incredible year of blogging in 2015-16! Thank you so much, Stacey. Thank you for creating a community here for teacher bloggers to support each other and learn from each others’ experiences. I didn’t really find my blogging grove until the Slice of LIfe Challenge and I was quite sincere when I said it was life changing. Very grateful for your vision and all the hard work that goes into maintaining and growing this community of special teachers. I, too, blog with my second graders. I see a lot of the same things you observed. There is great power in the experience for them (and me). I love how reflective you are and how you share what you’ll change next year. I need to reflect as well. I hated how my laptops were down the hall and I couldn’t get to them as quickly as I wanted to which meant blogging went by the wayside sometimes. Hi Kim! Thanks so much for your comment. Did you find that a lot of your students blogged on their own at home? School technology can hold us up. I have 2 computers in my classroom but we have 2 lovely computer labs that are available right down the hall. We also have an ipad cart we can sign up for and next year I hear each grade level is getting Chrome books to share. We are so lucky in my district to have access to technology, although my dream would be a class set of ipads or Chrome books. Did you have any set amount of posts your students had to write each week? Was it part of homework? Still trying to figure out how to have an expectation that won’t kill the joy of blogging but will push kids to do it more often. Still thinking…. Grateful for your ideas and appreciate you so much. I love the quote about your life as a teacher begins when you realize you are a learner yourself. And then your post spells out all that you’ve learned from reflecting on how you and your students approached blogging this past year. Your ideas are really helpful and include things that have me thinking. Growing the audience/ commenters is a big one. Responses are so motivating for young bloggers (and us too!). I’m curious about what you gleaned from the Ed Collab and am going to go looking there. Hi Lisa! I thought our posts made nice companion reading. I want to return to yours when I think about how to introduce blogging and specific strategies you mentioned! Last summer, I went on the community site of the Ed Collab and read posts about teachers discussing Kidblog which was the first time I had heard of the site and really thought about students blogging. If you go on the community site, it is probably under the technology link or perhaps the intermediate writers section. I agree that comments were important and I hope to really emphasize that to parents at Back to School Night. I’m also hoping that collaborating with other classrooms will lead to more comments and more motivation to keep writing! Yes- I think that connecting writers who are at different schools in different places writing different things could be incredibly energizing for young bloggers. Let’s stay in touch about this. I would love to connect you with the third grade teacher I worked with this past winter. Do you respond to each child’s post? If so, do you find that constraining with regard to time? I blogged for several years with my students to get them talking about their reading, but I’m intrigued to use it as a forum for writing, too. With 52 students, however, finding time to respond is a concern. I had 22 students and tried my best to comment but didn’t always. I’m sure it would be hard to do that with 52, but maybe you could create a system where you are commenting on some posts each week and getting to everyone in the month? Teaching into commenting and having kids more thoughtfully comment on each other’s writing would be helpful too to expand their audience and make it more do-able for you (I’m guessing…). Thank you!!! This is just want I needed to read. I blog myself and the March challenge (2 yr now) has changed me!! I will be in a school next year where I’ll have computers for my students to blog and I want to do this. But it is scary! However, your post is so encouraging. After lots of summer reflection, I WILL take the plunge!! Yay Sally! I would be happy to connect our classes. I think you said you are going to teach 3rd next year? Do you do the Global Read Aloud? Maybe we could look for ways to have our students share their blogging with each other. Thank you for saying my post was encouraging- I was definitely going for that! Being new to a grade level is very challenging but also a little freeing because you are new at what you are doing and there is lots of room to improve and grow! Hope we can connect. Amazing ideas and suggestions, Kathleen! I dabbled a bit with student blogging this year but we never found our groove. My goal for the summer is to learn more about this — beginning with your post so thank you! I really appreciate your feedback Jennifer! I would love to connect our classes too. It would be great to have a community of classroom bloggers from the TWT community teachers. Thanks so much! What a great introduction to someone considering blogging with students! Becoming a blogger yourself is such a valuable piece of advice. I like how you organized this and shared your reflections! Great post!! Happy Blogging! Thank you Michelle for always being such a source of inspiration and sunshine! Your comment was my first one this morning and it’s not surprising- you are always so supportive and encouraging. I’m glad you think this would be helpful to people considering blogging with their students. So glad the organization flowed…it took a while! I shared with my students that I was composing this post and brought in my revisions for them to see. I was 700 words over and it was not as tightly organized! So glad the finished product came together. Thanks again for always sharing your ideas and being so inspiring.